This is my first recipe blog post and let me tell you a little bit about my style of cooking before you start to judge (and you will.) I love food. I’d like to refine my skills in the kitchen and explore new recipes and flavors, but I’m not anywhere near a master chef and I am still learning a lot every day. I’ve acquired many cookbooks throughout my years in food PR, and the purpose of this blog is to help chronicle my recipes as I test out and try new things. I’ve had a love/hate relationship with salmon over the last few years. I’ve tried to prepare it so many ways from pan-searing to broiling which has resulted in more overcooked fish than I care to admit. I became so irritated I just stopped buying salmon altogether until my mom sent me a link with directions on how to cook salmon perfectly. Put it in the cold oven, crank up to 400 degrees and leave it in there for 25 minutes and BANG! The most tender, flaky delicious fish. I tried it again. And again. This method has yet to fail me. 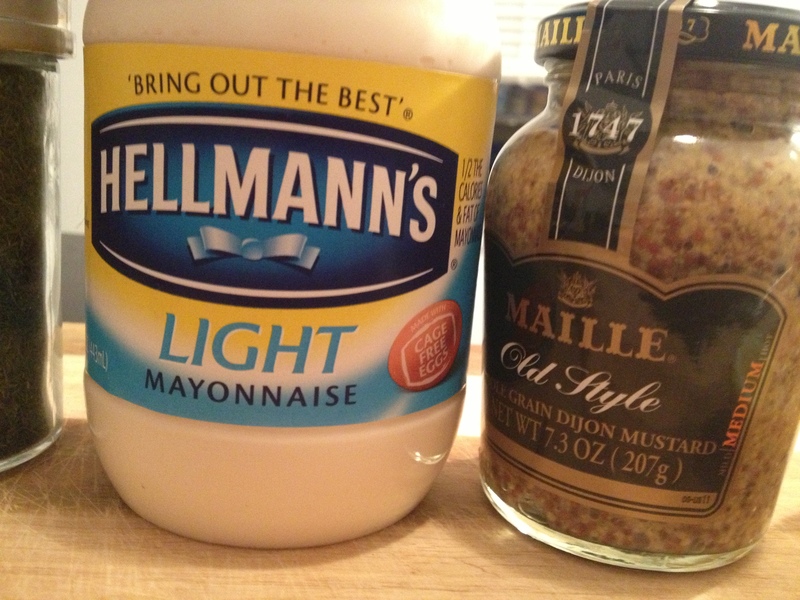 If you know me, you know I worked on the Hellmann’s brand for over two years, so I have sampled a good amount of mayonnaise-based recipes. From a marketing perspective, they have been positioning Hellmann’s more as an ingredient that can be used various ways in dishes; not just as a condiment. It’s brilliant, and makes sense because the eggs and oil in the mayonnaise helps to keep the protein juicy and tender while it cooks. Initially, there was slight apprehension from some consumers who couldn’t get over the fact that they are spreading mayonnaise on raw chicken and then heating it. But once you get over the mental hurdle to actually trying it, you will like it. 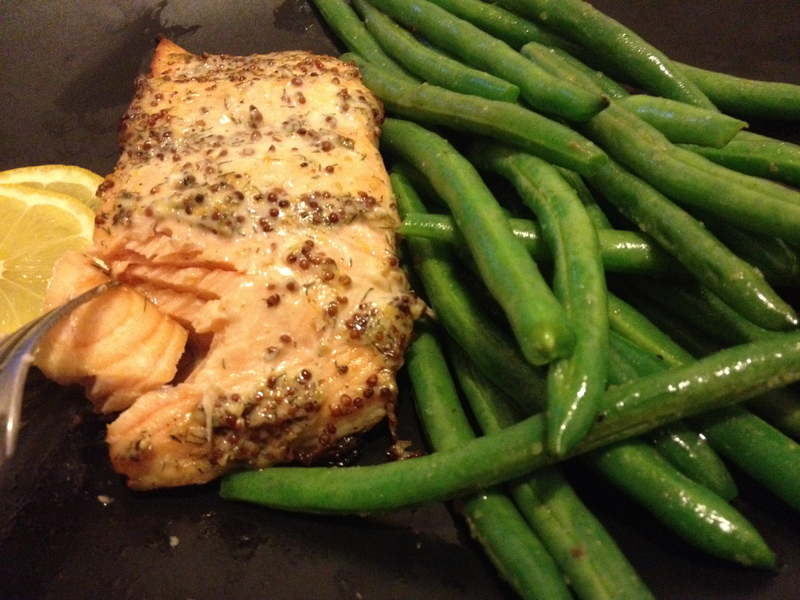 Anyway … it just so happens one of my favorite salmon recipes uses Hellmann’s as a cooking ingredient. Don’t knock it till you try it, folks! Recipe below. Enjoy. 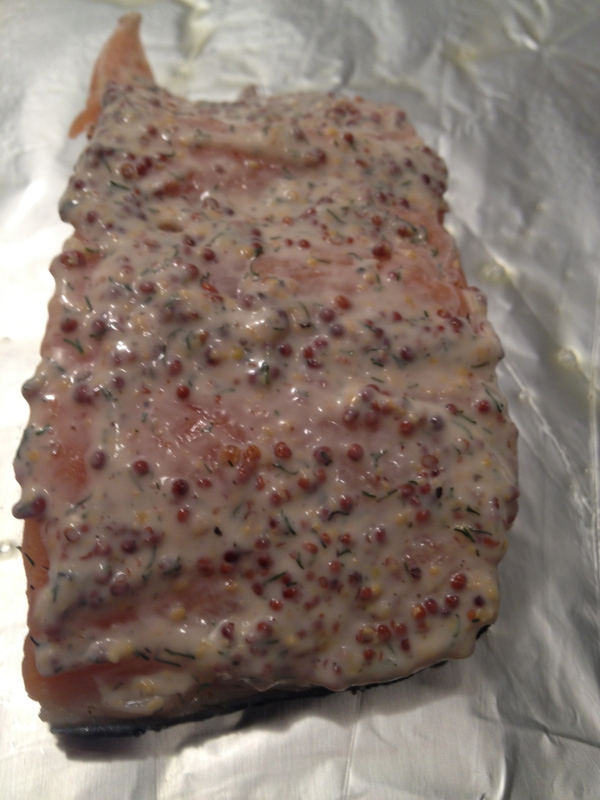 1) Spray Pam on tin foil baking sheet, place salmon on sheet and sprinkle salt, pepper and dill over the fish. Squeeze some fresh lemon on top. 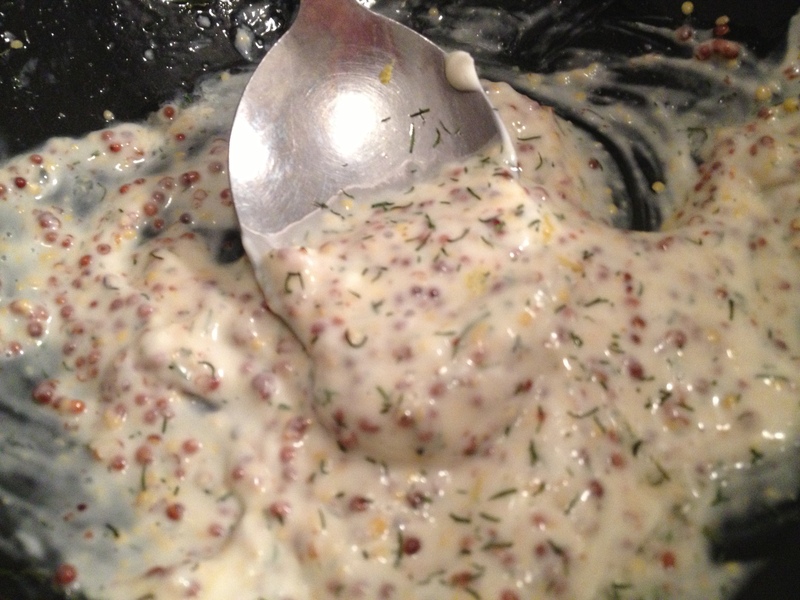 2) Combine Hellmann’s REAL or Light, Maille Whole Grain Mustard, Dill weed and lemon in mixing bowl. For the fresh lemon, squeeze in some of the juice and grate some of the zest as well. 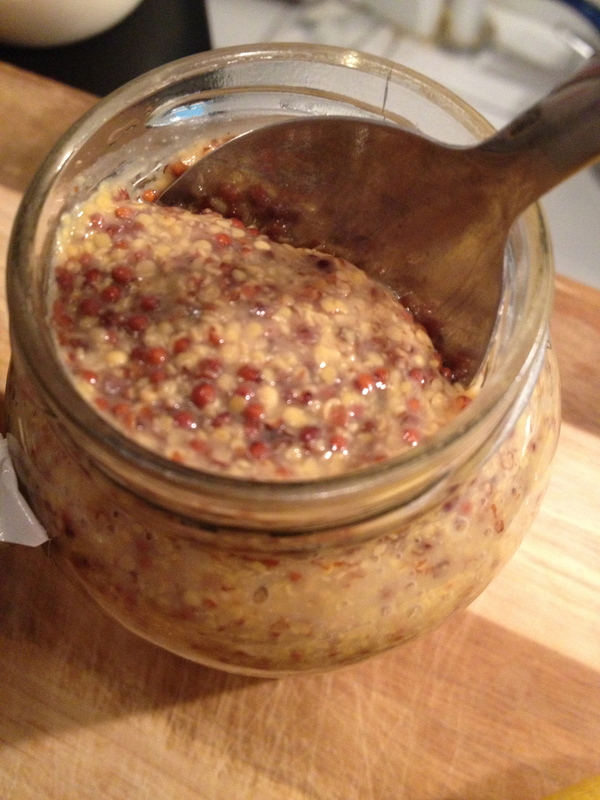 Use as much or as little dill as you want based on personal preference. Then spread a thin layer over your fish. 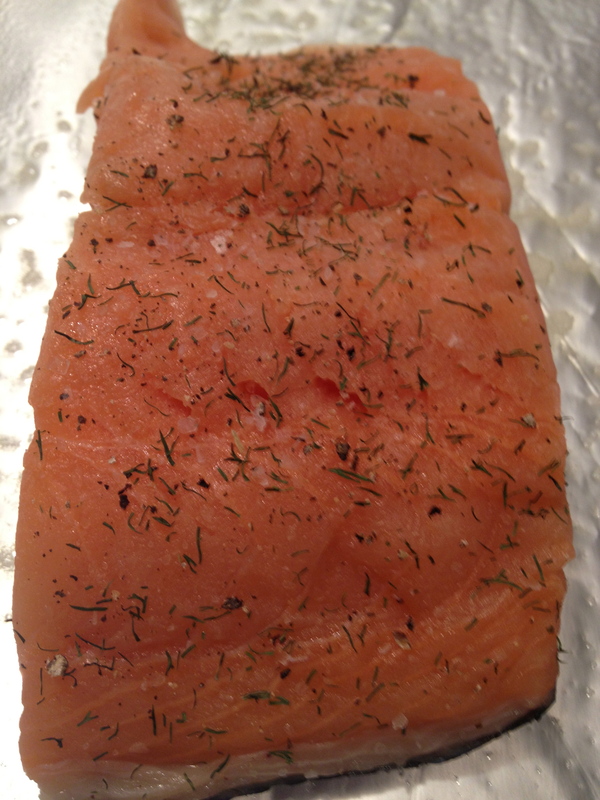 3) Place the salmon in the oven (don’t preheat!) at 400 degrees for 25 minutes. 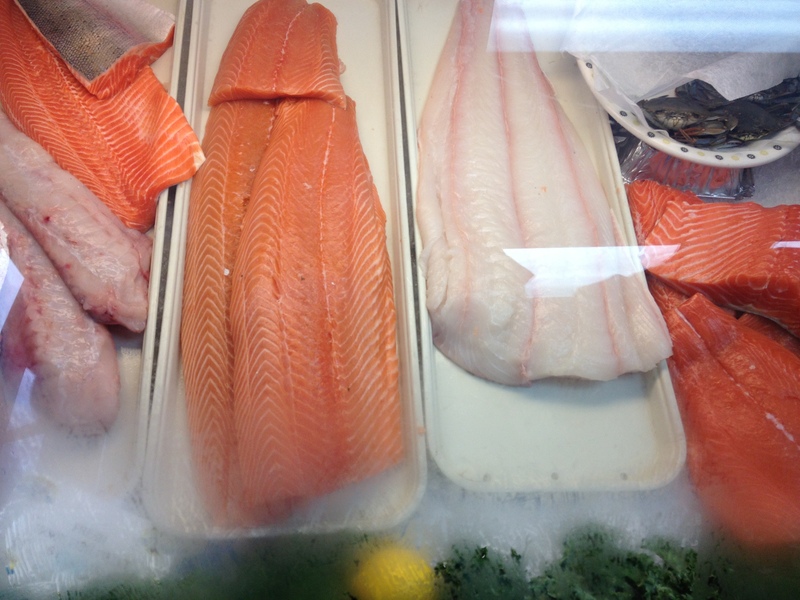 Sauté a side of crunchy greens and you have yourself a healthy, delicious, beautiful piece of salmon!